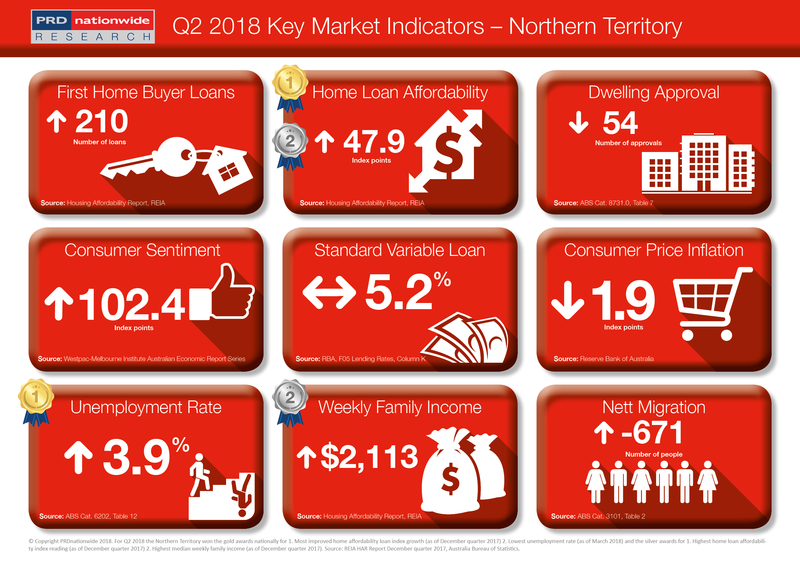 New South Wales has again earned the gold award nationally for most improved number of first home buyer loans in the PRDnationwide Q2 2018 Key Market Indicator Awards. For 2 consecutive quarters NSW has achieved the gold award nationally for most improved number of first home buyer loans, with a 74.9% increase over the past 12 months to the December quarter of 2017. Surprisingly, this result surpasses NSW’ previous achievement in quarter 2 (70.9% increase over 12 months to the September quarter of 2017). There are few factors to explain this phenomenon; a cooling in Sydney property prices have played a significant factor, along with a 2.3% increase in NSW’ weekly family income over the past 12 months to the December quarter of 2017. Due to this NSW for the first time qualified for a bronze award nationally for the most improved home affordability loan index growth, increasing by 1.9%. NSW recorded 5,644 new dwelling approvals during March 2018, just below VIC’s 6,653 approvals. This represents a decline of -3.6% over the past 12 months (to March 2018). In September 2017 NSW recorded a migration number of 23,124 people, which is a decline of -5.6% over the past 12 months. Comparing these two factors suggests that in the near future there may be more stock available to service property demand. This will further balance out the affordability dynamics within the NSW market, where we will start to see a real return to more sustainable rates of price growth.